Open letter to our comrades and friends in the Black liberation movement | Fight Back! We don’t declare mutuality of suffering of our respective peoples to simply make the cynical point that the separation of Black families has failed to produce the same outrage. No, quite the contrary, we must see in this inhuman policy, in this crime against humanity, the need for unconditional solidarity - and the need to clarify and define who our friends and enemies are, to develop a conscious alliance between our oppressed peoples. We must unequivocally unite in an act of solidarity with the families being separated at the Mexican border. Why? Because as freedom-fighters we must never allow the racist rulers of this land to define for us who our friends and enemies are. Racist concepts are reactionary, for the enemy is not a race, it is a system of capitalist oppression. The enemy extends its reach across the globe, irrespective of borders. Our solidarity for the oppressed must do the same. 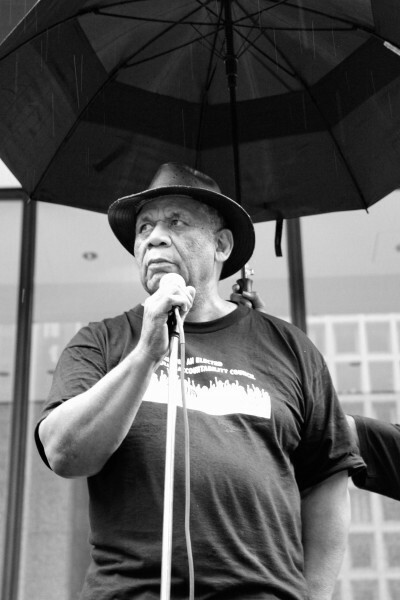 Frank Chapman is Field Organizer for the Chicago Alliance Against Racist and Political Repression (CAARPR) and a member of the Central Committee of Freedom Road Socialist Organization.